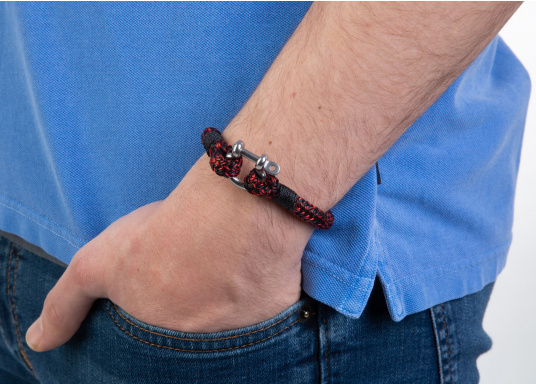 The "Halyard" wristband is made of sailing rope and sets the trend. 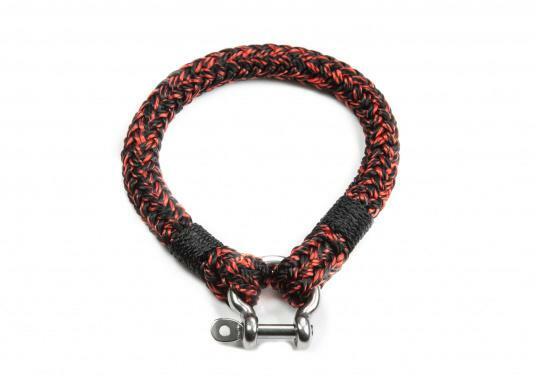 The bracelet is available in red-black, mottled rope. They are handmade and braided. Make a statement! "Watterkant" is synonymous with quality craftsmanship and maritime design at affordable prices. 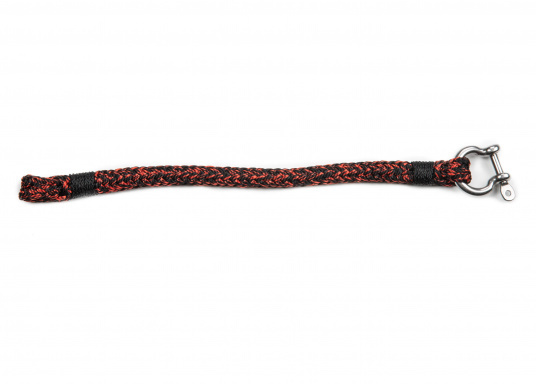 The sail rope writsbands are handmade and braided. Make a statement! Made in Bremen, Germany. Choose from 2 sizes: M = 21 cm and L = 24 cm.